Like this woman, many ancient Saints spoke of the joy they experienced while being in or near the temple. For example, Psalm 16, which has been called “a prayer for admission to the temple,” declares that “in [God’s] presence is fullness of joy” (Psalm 16:11; cf. 21:6). King David spoke of the joy that he felt at merely witnessing his people’s willingness to help build God’s temple (1 Chronicles 29:17; cf. Ezra 6:16). And the psalmist exclaimed, “a day in thy courts is better than a thousand [anywhere else]. I had rather be a doorkeeper in the house of my God, than to dwell in the tents of wickedness” (Psalm 84:10). In other words, he believed that any type of service in the temple, no matter how lowly the position, would bring joy and be preferable to being out in the world, amongst the wicked. This joy that is found in the temple and its teachings is also emphasized in the account of Christ’s visit to the Americas in the Book of Mormon. In 3 Nephi 11, when Jesus descended from heaven, He met a multitude gathered at the temple in Bountiful (3 Nephi 11:1). It was in this temple setting that He presented His sacred teachings and covenants to the people. At a certain point during His ministry, Jesus knelt down and prayed in the presence of the people. Witnesses reported that “no one can conceive of the joy which filled our souls at the time we heard him pray for us unto the Father” (3 Nephi 17:17). When Jesus finished praying, the “joy of the multitude” was so great that “they were overcome” (v. 18). Touchingly, in response to their indescribable joy, Jesus declared that His joy was “full” (v. 20). Merely observing the beauty of the temple can bring joy. As the psalmist exclaimed: “Beautiful for situation, the joy of the whole earth, is mount Zion … Great is the Lord … in the mountain of his holiness … O God, in the midst of thy temple” (Psalm 48:2, 1, 9). 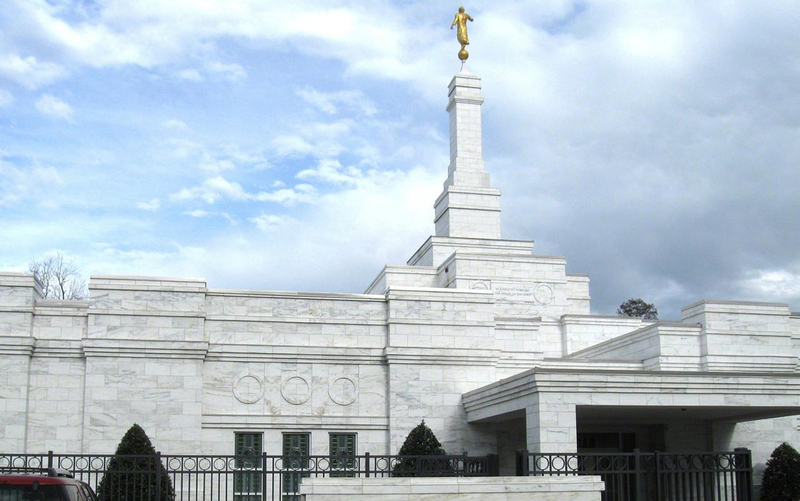 The temple represents the Garden of Eden and the Edenic state of the world that Christ will usher in at His Second Coming, which will be full of peace and joy. As Isaiah prophesied: “For the Lord shall comfort Zion: he will comfort all her waste places; and he will make her wilderness like Eden, and her desert like the garden of the Lord; joy and gladness shall be found therein … (Isaiah 51:3,11; cf. Jeremiah 31:13). The temple is a place where we can experience the joy of humbling ourselves before the Lord. After Ammon was “swallowed up in the joy of his God, even to the exhausting of his strength” we learn that his was the type of “joy which none receiveth save it be the truly penitent and humble seeker of happiness” (Alma 27:17–18). In the temple, we can experience the pure love that the Lord has for us and our families. When Lehi partook of the fruit of the tree of life (a temple symbol) he declared that “it filled my soul with exceedingly great joy; wherefore, I began to be desirous that my family should partake of it also” (1 Nephi 8:12; cf. Psalm 5:11). Similarly, the prophet Zephaniah described the joy and love that God feels when He is with us: “The Lord thy God in the midst of thee … will rejoice over thee with joy; he will rest in his love, he will joy over thee with singing” (Zephaniah 3:17). Jesus declared regarding those who would keep his word: “As the Father hath loved me, so have I loved you: continue ye in my love. If ye keep my commandments, ye shall abide in my love; even as I have kept my Father’s commandments, and abide in his love. These things have I spoken unto you, that my joy might remain in you, and that your joy might be full” (John 15:9–11). As we worship at the altars of holy temples, we can know that the Lord is pleased with our sacrifices. It was after offering animal sacrifices that Adam and Eve learned of the “joy of our redemption” (Moses 5:11). As the preacher exclaimed: “Go thy way, eat thy bread with joy, and drink thy wine with a merry heart; for God now accepteth thy works” (Ecclesiastes 9:7; cf. Psalm 42:4; Nehemiah 42:43). The Lord visits His holy house, and the presence of His Spirit dwells there. The psalmist declared that “in [God’s] presence is fullness of joy” (Psalm 16:11). The brothers Nephi and Lehi experienced “that joy which is unspeakable” as “the Holy Spirit of God did come down from heaven, and did enter into their hearts” (Helaman 5:44–45). Jesus spoke of entering God’s presence as entering “into the joy of thy lord” (Matthew 25:21, 23). Other scriptures similarly state that visitations of the Lord cause feelings of “great joy” (1 Nephi 19:11; cf. Job 33:26). This last point is perhaps one of the greatest reasons that joy is to be found in the temple and the work that goes on there. As the prophet Habakkuk declared, “the Lord is in his holy temple” (Habakkuk 2:20). When we enter the Lord’s presence in the temple, we can receive a “fullness of joy.” Jesus explained to the three Nephite disciples why this is the case. He promised that because of their desire to do His work: “yea, your joy shall be full, even as the Father hath given me fullness of joy; and ye shall be even as I am, and I am even as the Father; and the Father and I are one” (3 Nephi 28:10). This, Jesus confirmed, is a joy that “no man taketh from you” (John 16:22, 24). In the temple, we can be united with our Savior and our Heavenly Father, and experience this exceeding, unspeakable joy (1 Peter 1:8; 4:13) that exists in Their presence. We can be filled with the Holy Ghost, which carries inexpressible feelings of joy into our hearts. In the temple, we can do work that is acceptable and pleasing to God. There, we can realize that joy is our purpose and our destiny. After all, as the Book of Mormon prophet Jacob declared, men and women are “that they might have joy” by freely choosing eternal life “through the great Mediator of all” (2 Nephi 2:25, 27). John W. Welch, “Seeing Third Nephi as the Holy of Holies of the Book of Mormon,” Journal of the Book of Mormon and Other Restoration Scripture 19, no. 1 (2010): 36–55; also published in Third Nephi: An Incomparable Scripture, ed. Andrew C. Skinner and Gaye Strathearn (Salt Lake City and Provo, UT: Deseret Book and Neal A. Maxwell Institute for Religious Scholarship, 2012), 1–33. John W. Welch, Illuminating the Sermon at the Temple and Sermon on the Mount (Provo, UT: FARMS, 1999). John A. Tvedtnes, “That They Might Have Joy,” in The Most Correct Book: Insights from a Book of Mormon Scholar (Salt Lake City, UT: Cornerstone, 1999), 120–123. Monte S. Nyman, “To Learn with Joy: Sacred Teaching, Great Revelation, Prophesying,” in The Book of Mormon: Jacob Through Words of Mormon, To Learn With Joy, edited by Monte S. Nyman and Charles D. Tate, Jr. (Provo, UT: BYU Religious Studies Center, 1990), 193–208. Franklin D. Richards, “Happiness and Joy in Temple Work,” Ensign, November 1986, online at lds.org. See, for example, The New Oxford Annotated Bible, College Edition (Oxford, UK: Oxford University Press, 2001), 786–787. The “presence” of the Lord was experienced in his holy temple (Psalm 11:4; 2 Chronicles 20:9), and the psalmist equated that presence with a feeling of joy. 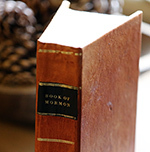 See Book of Mormon Central, “Why Did Jesus Deliver a Version of the Sermon on the Mount at the Temple in Bountiful? (3 Nephi 12:6),” KnoWhy 203 (October 6, 2016); John W. Welch, Illuminating the Sermon at the Temple and the Sermon on the Mount (Provo, UT: FARMS, 1999), 26–30; Welch, “Seeing Third Nephi as the Holy of Holies of the Book of Mormon,” Journal of the Book of Mormon and Other Restoration Scripture 19, no. 1 (2010): 36–55; also published in Third Nephi: An Incomparable Scripture, ed. Andrew C. Skinner and Gaye Strathearn (Salt Lake City and Provo, UT: Deseret Book and Neal A. Maxwell Institute for Religious Scholarship, 2012), 1–33.